15832 Farnsworth Street, San Leandro | 510-878-2228 | Tues-Sun 5pm to midnight. I recently went with a bunch of food friends to check out Allie Daddy’s BBQ, which is in an obscure little strip mall in San Leandro, buried deep in the suburban labyrinth. It’s in the Manor Plaza, in an area that seems stuck in time, the restaurants are old school and uninspired and it’s so exciting to find something different like this. 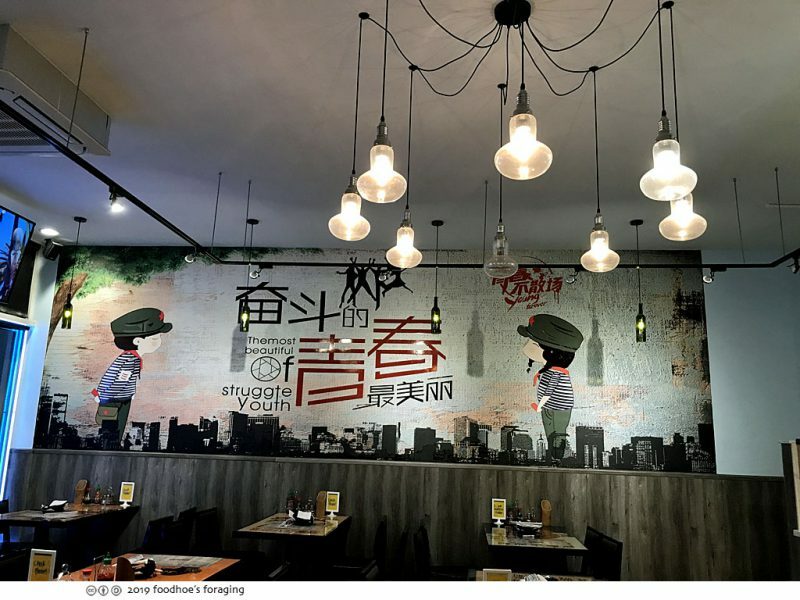 The interior is bright and modern and full of vibrant propaganda-esque murals and artwork where you can enjoy asian bbq, the kind that specializes in skewers, not slabs of ribs, which is a type of street food that has become popular in the Bay Area. 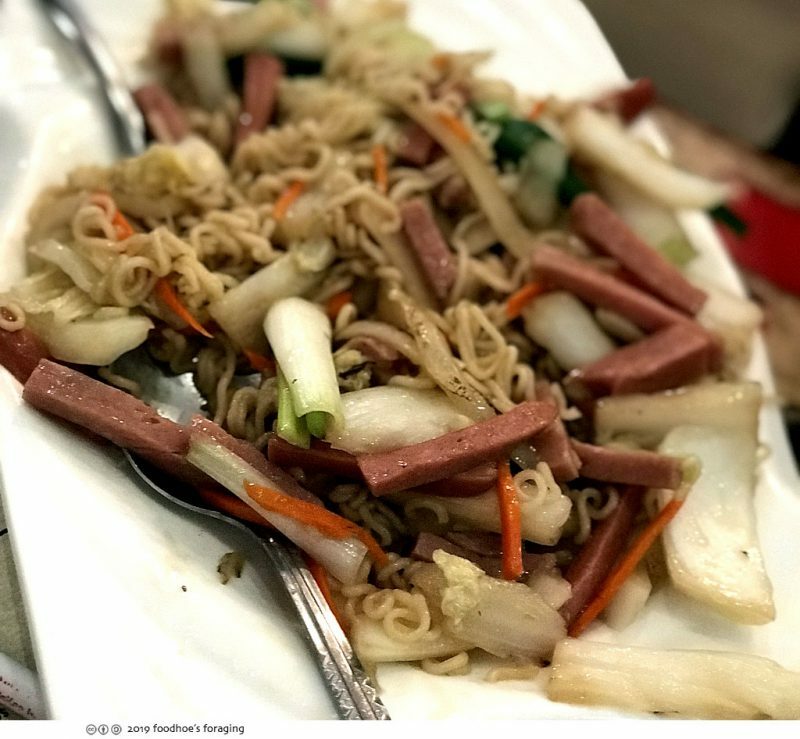 Allie Daddy’s Fried Noodles ($11.99) were full of vegetables and sliced spam that had been vigorously stir fried and had a lovely smoky flavor. 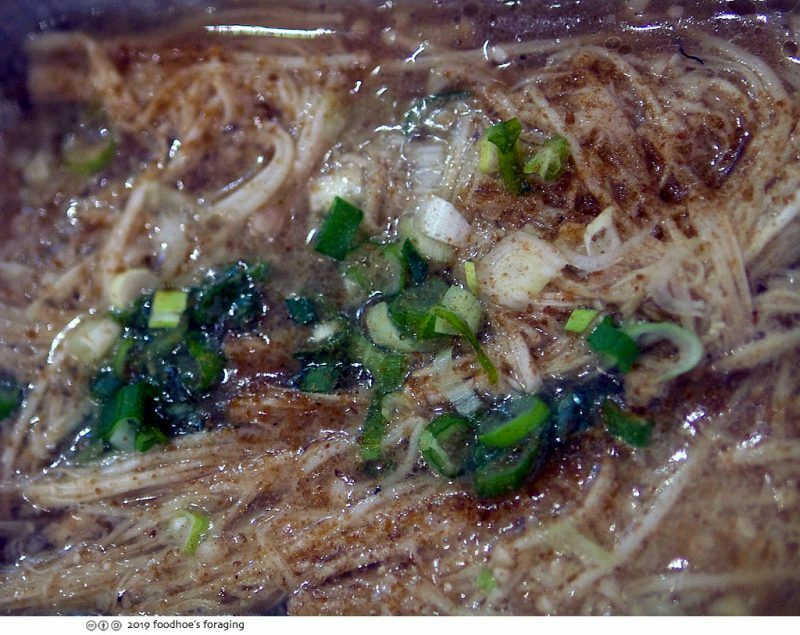 The enoki mushroom ($1.75) was grilled in a small aluminum bin cooked with garlic and green onion down to a juicy stew, then sprinkled with cumin and paprika. 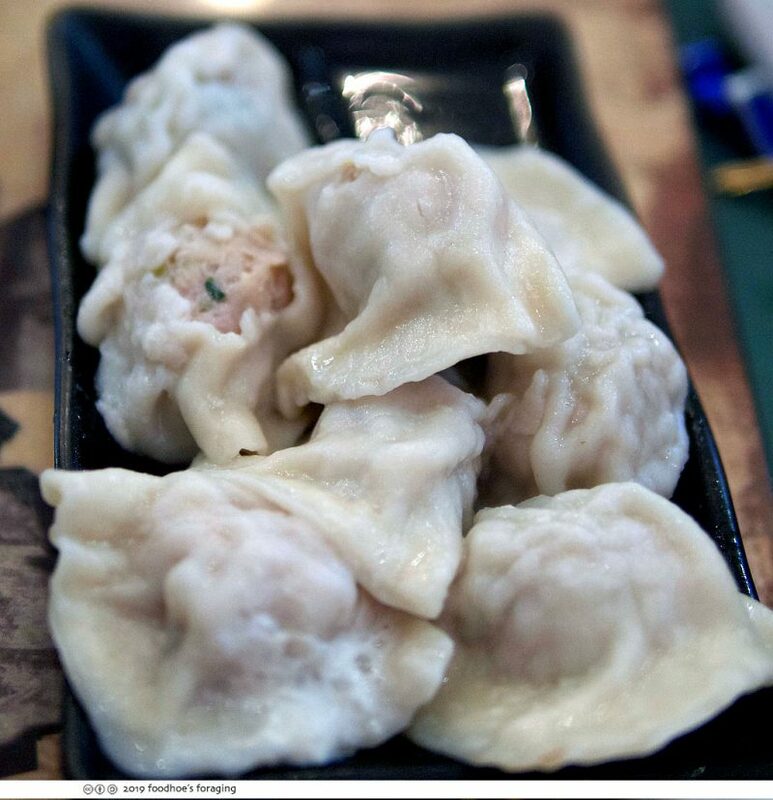 The steamed dumplings ($6.99) were big and meaty and gone in a minute. 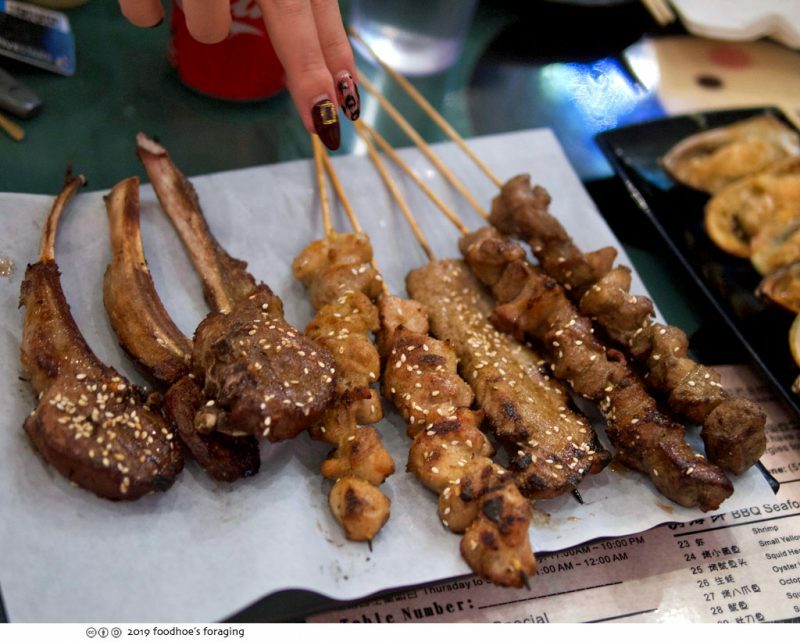 We enjoyed a variety of skewers, here is chicken ($2.00), beef ($2.25), lamb ribs ($5.99). All were dusted with cumin, salt and pepper and sesame seeds. 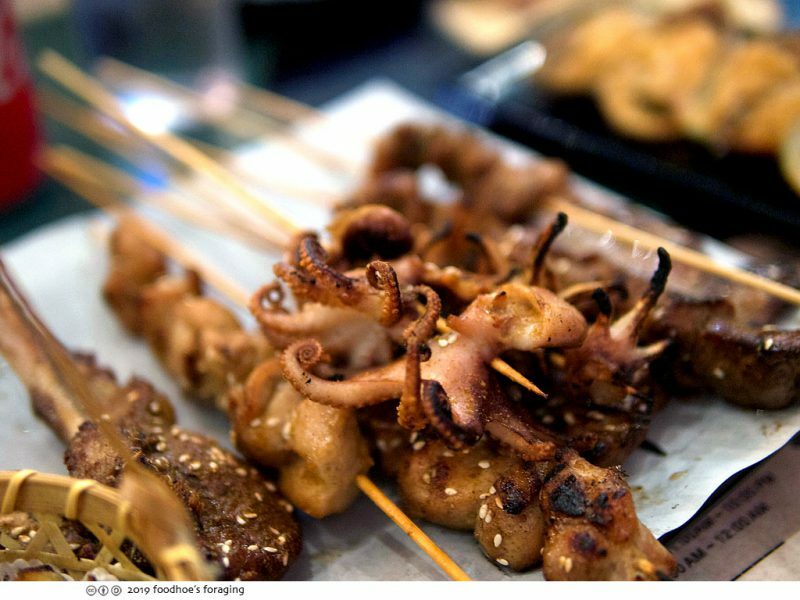 The octopus ($4.99) had a wonderful char on the tentacles that was so very tasty. 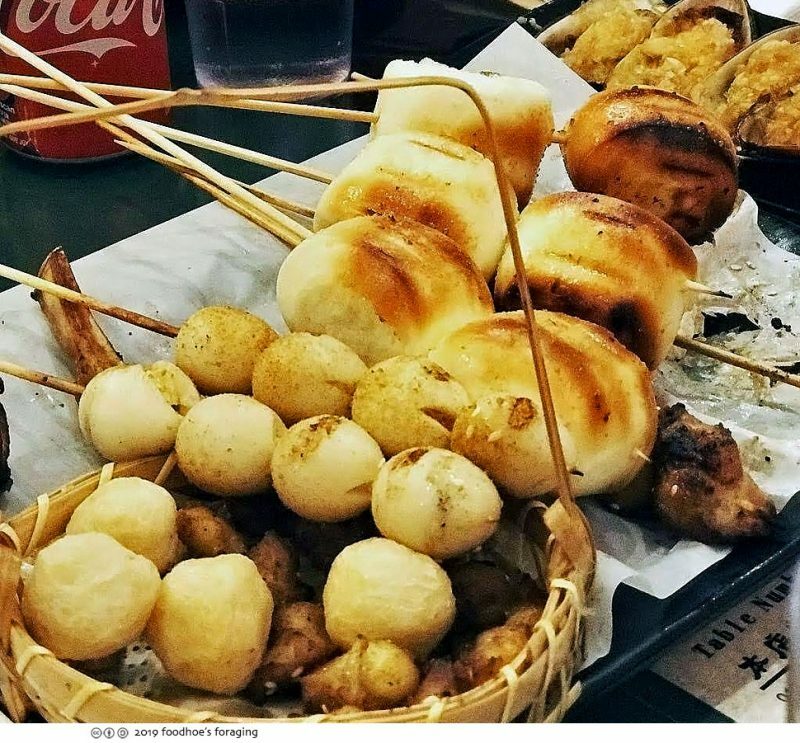 The BBQ bun ($1.50) had a tender and bready interior with a delicious smoky crust, the quail eggs were hard cooked then skewered and grilled to a very light char and delightful to bite into ($1.99). 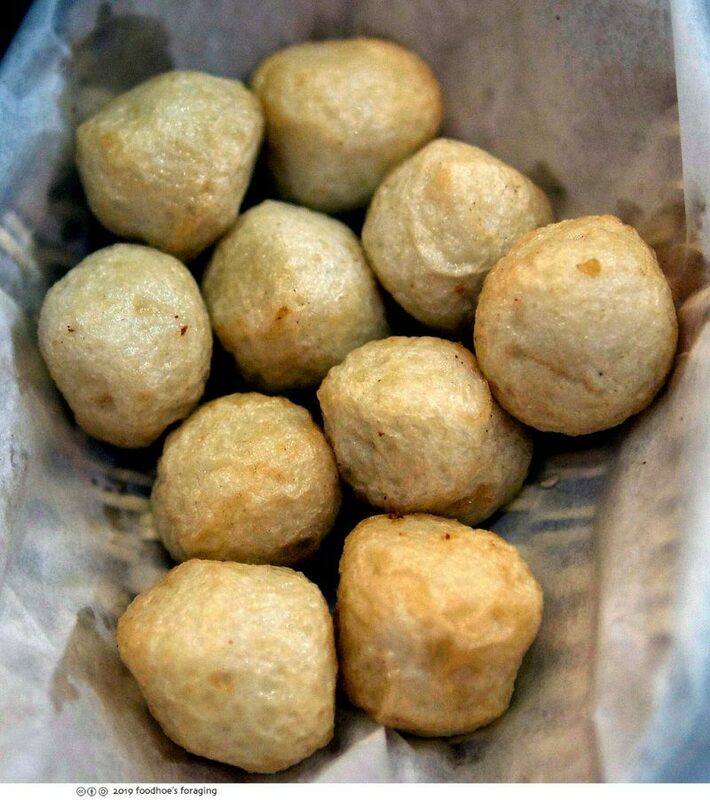 Fried fishballs ($4.99) were juicy inside and fried to a light crisp and needed some kind of sauce to dip in. The fried Chicken Cartilage ($6.99) was my favorite, there was just something addictive about the texture that I couldn’t resist. 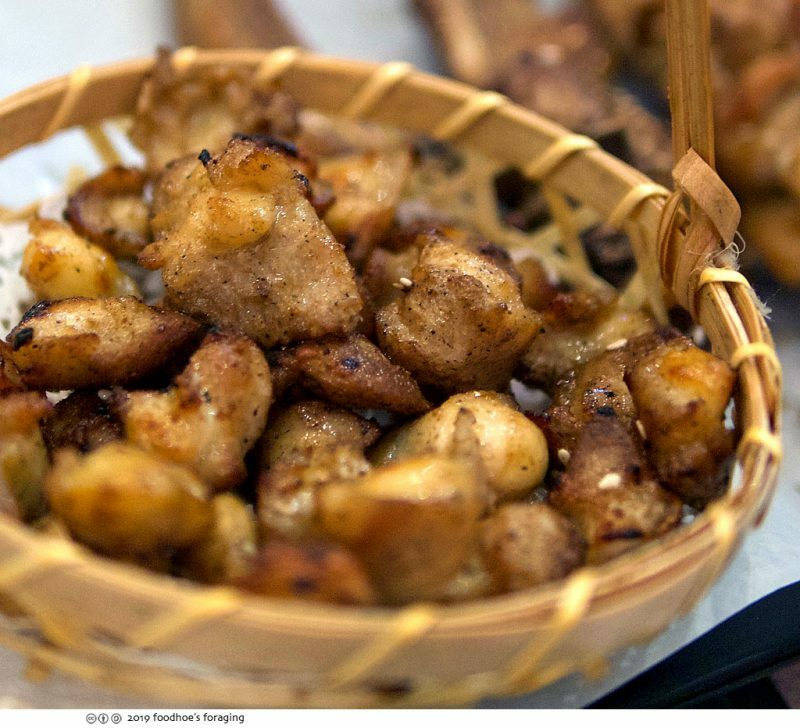 I loved gnawing on the dense and crunchy pieces which were also succulent and meaty. 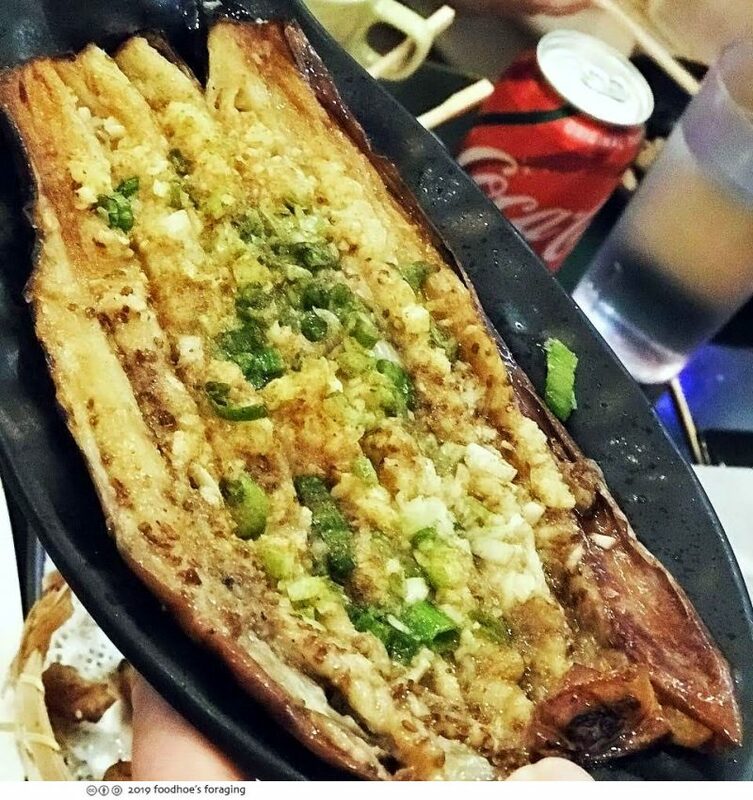 The grilled eggplant ($4.99) had smoky charred and caramelized edges, topped with the ubiquitous garlic and green onion mixture and sprinkled with the aromatic spices. 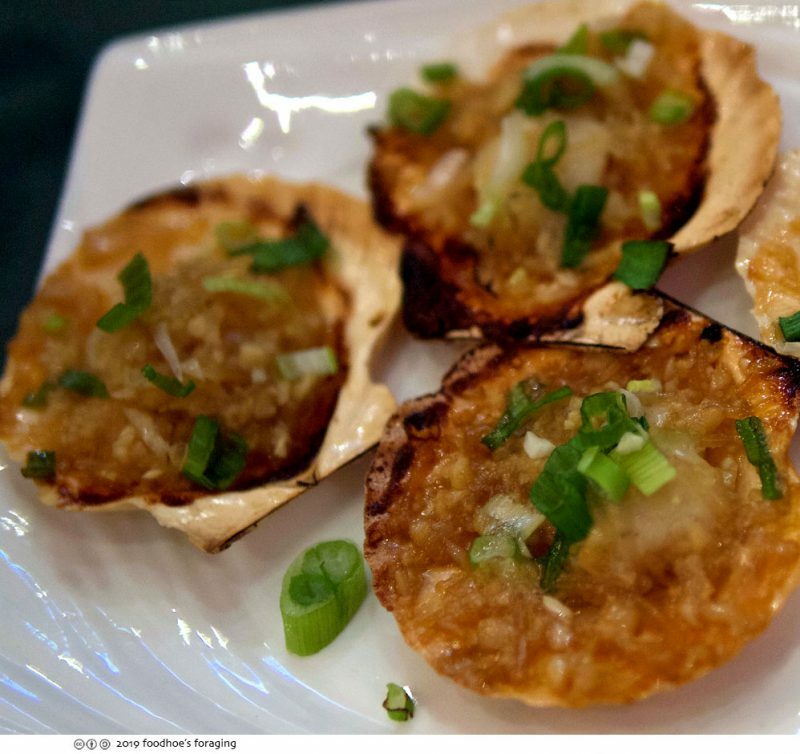 Scallops came grilled in the shell and topped with the green onion and garlic vermicelli sauce. 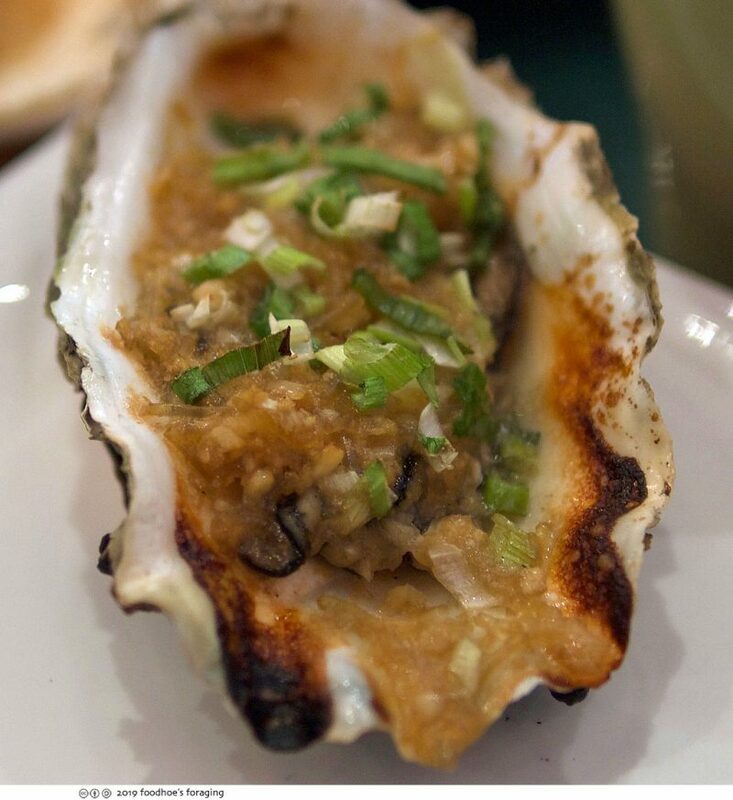 The Oysters were very large and topped with the green onion garlic sauce with vermicelli ($2.50 ea). 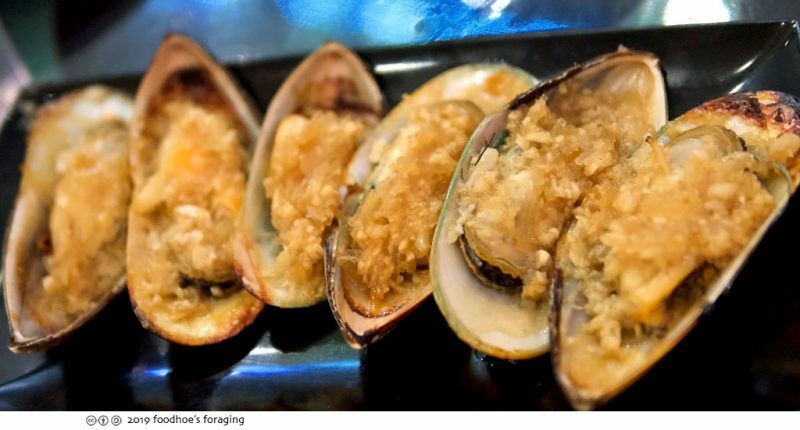 And the Mussels with Garlic Sauce ($3.99) had the same treatment as the other shellfish, which made them blend together. It was a fun and casual spot with lots of different things to try, I am definitely going back for the cartilage and to try more dishes.